Like most of the Balkans, Slovenia has changed hands a fair number of times in its history. The area that makes up modern Slovenia has at one point or another belonged to the Romans, Magyars, Ottomans, Habsburgs and Yugoslavia, the latter of which began its official disintegration after the Slovenes declared independence in 1991 (though rumblings of this had begun much earlier). 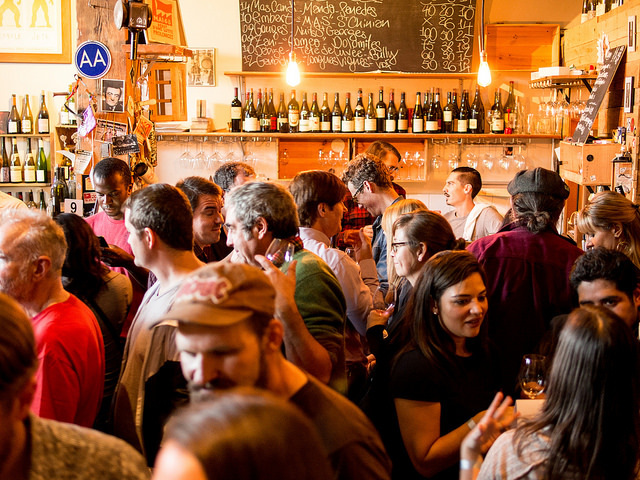 The only constant in this tumultuous history has been the region’s wines. Slovenia’s position affords it an envious array of growing conditions that produce some incredibly unique wines, and although the emphasis has always been on white, its reds can be equally enticing. That a great many Slovenian producers are today pursuing natural and non-interventionist methods in their cellars is not a sign of changing times, but rather an indication of how things were traditionally done in the region. These are wines that are produced to reflect the place that they come from, not the tastes of where a marketing team wants them to be sold. 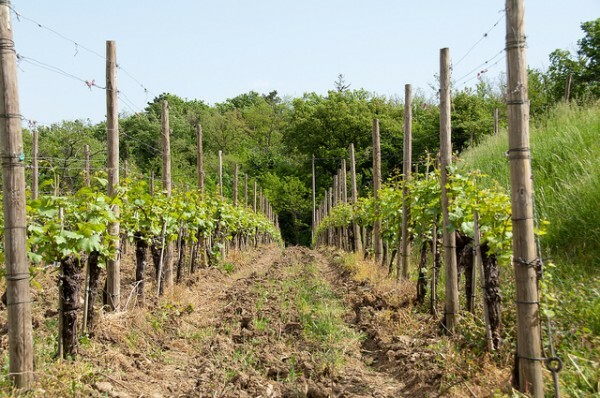 Slovenia is divided into three wine regions, split between the country’s Western and Eastern margins: Podravje, Posavje and Primorska, the latter of which is the most well known internationally. This can be attributed to the quality of the wines, but also because the region shares a border with Italy’s Friuli-Venezia Giula, and indeed the terroir of the two regions can be incredibly similar. Within Primorska lie four sub-region, each of which warrants attention. 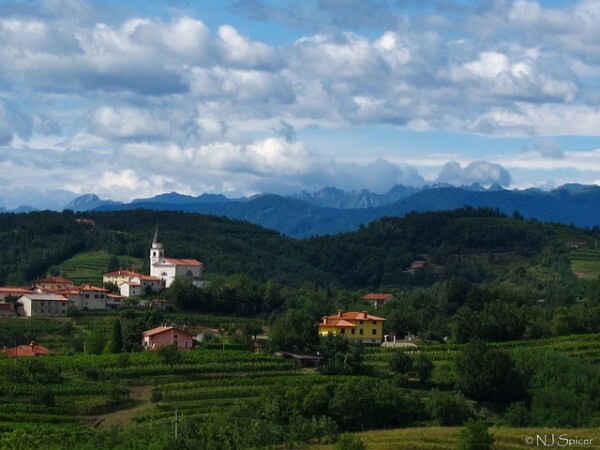 Goriška Brda is an extension of Italy’s Collio region, a sea of rolling hills and small valleys with a climate that’s a bit cooler than the rest of Primorska thanks to the influence of the nearby Alps. While red wine is produced here, like the rest of Slovenia the emphasis is on white (which accounts for nearly 70% of the country’s production). Rebula (Ribolla Gialla just across the Italian border) and Tocai Friulano (also called Ravan) are the two main white grapes here, although Chardonnay, Pinot Blanc and Pinot Gris make appearances as well. 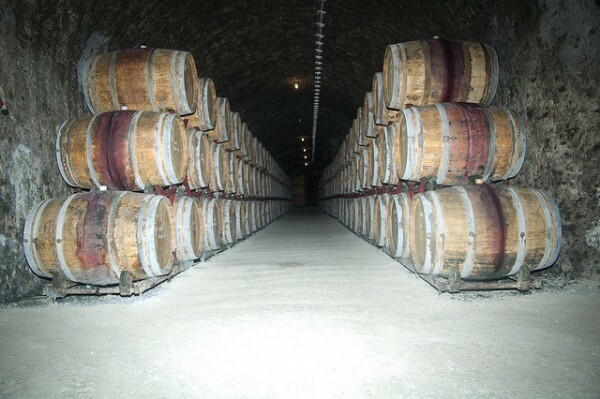 These wines are often capable of ageing quite well due to their extended exposure to grape skins after maceration (typically only done for red wine), which produces a golden hue that can be quite beautiful in the glass, and the wines themselves will often respond very well to some decanting. Kabaj is an interesting producer that typifies this style of wine from Goriška Brda, with an array of vinification styles that include clay amfora, as well as the more traditional Slovenian oak. A bit further South lies Vipavska Dolina, a long valley stretching down from the hills of Brda known for its white wines and strong winds that rush down from Mt. Nano. 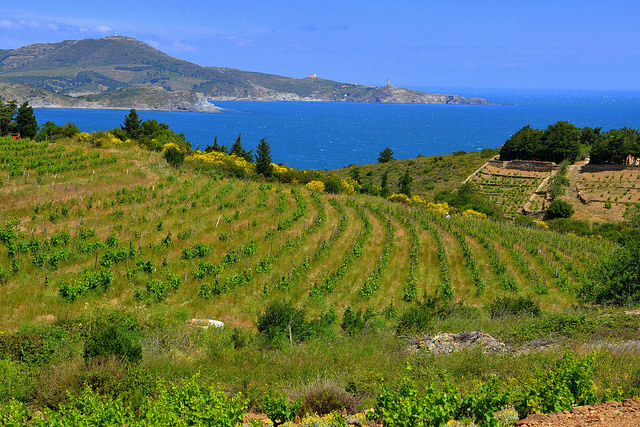 Immediately to the south lies Kras, bordering the Italian city of Trieste and well regarded for its red wines made with the native Teran grape, as well as Refošk (Refosco in Italy). Both Vipavska Dolina and Kras are subjected to hot Mediterranean summers and colder, windy winters. At the Southern edge of Primorska is Slovenska Istra, or Slovenian Istria, the very Northern tip of the peninsula that lies largely within neighboring Croatia. The soil in this region produces Slovenia’s famous truffles, and the wines lean towards heavy reds from Refošk, Teran and Cabernet Sauvignon. A few sublime whites can be found here as well, most of which seem to come from Malvizija (Malvasia in Italy and Spain). The best of these are on the dryer side, with a sharp acidity that really calls for some fish from the nearby Adriatic. When both wine and food are produced in close proximity to one another they tend to remind you of their counterpart, I’ve found. The largest of Slovenia’s wine regions is off to the East along the borders of Austria, Hungary and Croatia, and is known for its white grapes, including sparkling and dessert wines. 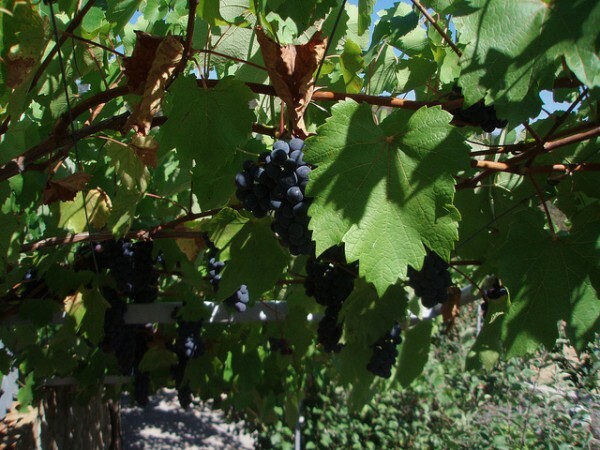 The native Laški Rizling is the grape of choice for many in Podravje, although a number of more familiar non-native grapes now make up a significant part of the production. An interesting producer from this region is Silvo Črnko, who grows quite a variety of non-native grapes like Yellow Muscat, Pinot Gris and Gewurztraminer, among others. 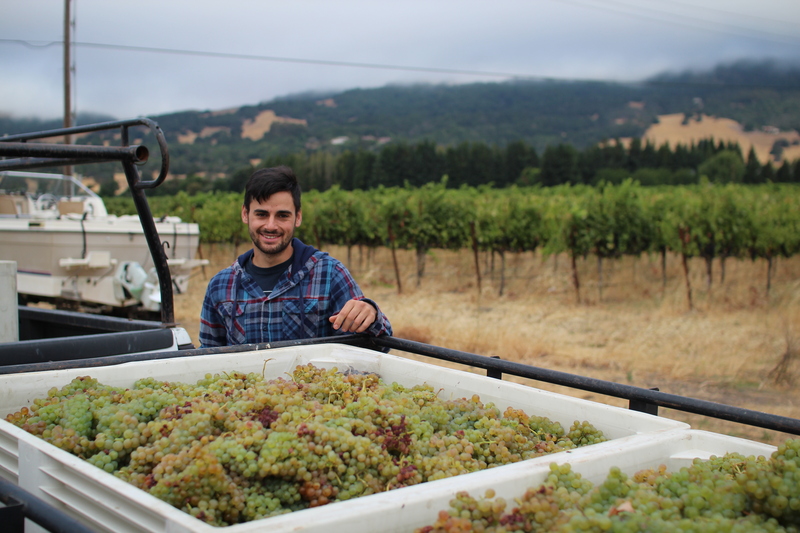 But these grapes, like any that are grown in soil treated with care and respect, take on the flavors of a region that has produced wine for over 2,000 years, and are quite distinct from their cousins further afield. 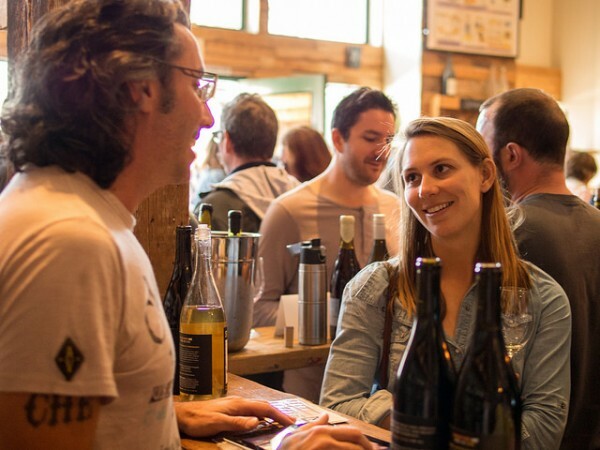 Getting one’s hands on wine from this region isn’t always terribly straightforward in the U.S., but they’re worth seeking out. Slovenia’s smallest wine region is generally only mentioned in the context of a blended wine called Cviček, though they do produce a great number of other styles. A dry and slightly sour wine made from a blend of both red and white grapes, it can nonetheless be a bit fruity depending on the grapes selected for use, and is generally not above 10% alcohol. As a result it tends to be drunk rather liberally in the area, and since 2001 has been a Recognized Regional Denomination, or PTP if European Union acronyms excite you. This means that only wines produced in the Posavje sub-region of Dolenjska can be labelled as Cviček. So, there you have it. 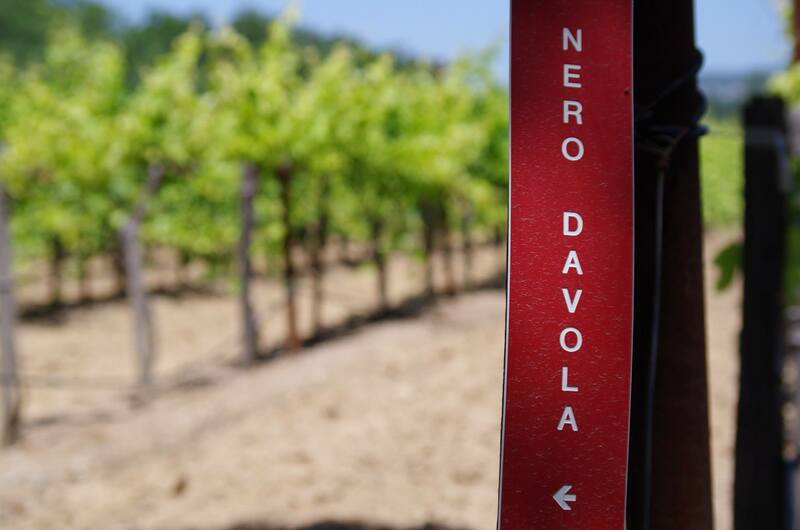 Luckily for Californians with an interest in wines from off of the beaten wine path, these are no longer impossible to find outside of specialty food stores or Central European markets. Most serious wine shops will have a bottle or two from Primorska, if nothing else, but a bit of digging may produce something wholly unknown. If you find yourself in front of a bottle with a name that looks even vaguely like it may be in Slovenian, ask some questions of the proprietor. 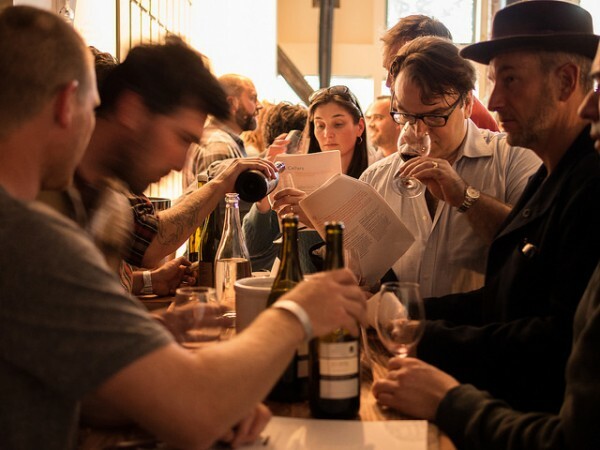 The nice thing about people who like wine is that they tend not to shy away from discussing it, sometimes at length, and few things go better with conversation than wine. Central Europe doesn’t spring to mind for many people when they think of wine, nor do these countries make frequent appearances on many wine lists that you encounter. Perhaps a sweet Hungarian Tokaji as the adventurous choice on a dessert list, but that’s generally the extent to which this part of the world appears on people’s wine radar. That’s a shame. Wine has been produced throughout the Balkans and the rest of Central Europe since the ancient Greeks, and has birthed some of the most well-known grapes that grow across Europe and the Americas (not to mention hundreds of local varietals that rarely appear outside of the hills and valleys to which they are native). 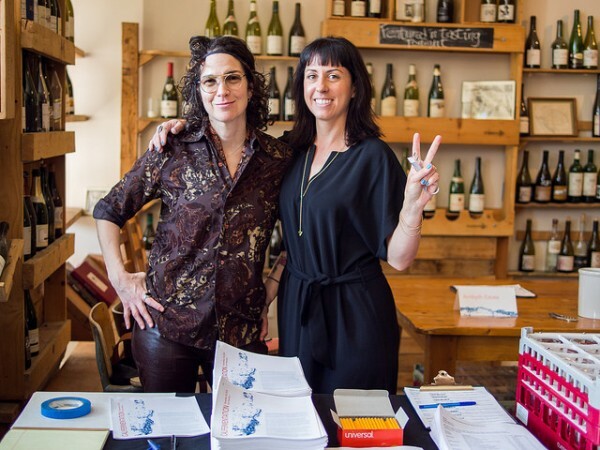 After the disastrous effects of collective farming practices under communist rule, bookended by a decade of war in the 1990’s as Yugoslavia disintegrated, Western wine drinkers are finally turning their gaze towards this part of the world in earnest. Suddenly it’s not uncommon to find interesting bottles from Croatia and Slovenia in wine shops and on restaurant lists, although Hungary remains largely relegated to the dessert wine category, and things from some of the smaller countries are still something of a rarity. Central European wines are victim to a single, yet daunting hurdle: an aggressive amount of consonants. While French and Italian wines allow one have a go at sounding out the names on bottles without butchering things too badly, trying to wrestle a pronunciation out of such unfamiliar words as Črnko (pronounced “churn-ko”) can be enough to turn you right back to something more familiar. This is compounded by the presence of other non-Slavic languages in the region that can seem equally impenetrable to English speakers, like Hungarian and Romanian. The grapes themselves don’t help too much either in this regard. Have you ever enjoyed a Bosnian Žilavka, or a Croatian Crljenak Kaštelanski? Probably not. But the old adage is correct, as looks can be deceiving. That Crljenak Kaštelanski you’re still trying to pronounce is actually what gave birth to the familiar Zinfandel, and a number of grapes that you’ll recognize make frequent appearances throughout a number of these countries. So, where do you start? The only way to tackle such an enormous number of countries, grapes and terroirs is to choose a geographic point and then move in a constant direction. This is the first part in a series that will begin in Hungary and works its way through Slovenia, Croatia, and then focus on some of the smaller less well-known countries that are producing intensely interesting natural wines. You may not come across a lot of bottles from Montenegro or find people willing to entertain your observations about Bosnia’s wonderful biodynamic whites, but many of the wines are unique to their place of origin, and some of them are fantastic. 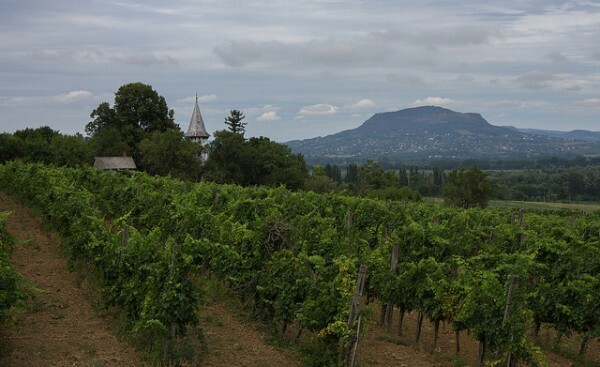 The sweet Hungarian wines from the Tokaj-Hegyalja region have long been sought after by European royalty, and was infact the first classified wine region in the world. It’s not hard to understand the reasoning behind this if you’ve been lucky enough to uncork one of the small rotund bottles that this golden hued nectar frequently arrives in. A good Tokaji can be like taking a sip from the sun, sweet without being cloying, and with a fragrance that can range from summer flowers to honey. The wines from Tokaj can actually fall anywhere along the scale from dry to heavy and sweet, but it’s the wines classified as Aszú that are so well known as a post-meal drink. Six grapes are allowed to be grown in the Tokaj wine region, but Furmint accounts for the majority of production. This is closely followed by Hárslevelű, which along with Muscat is blended with Furmint to produce Aszú wines. The final ingredients are a long, slow ripening process in the strong sun and the late-on appearance of Botrytis cinerea, a fungus otherwise known as “noble rot” for the effects it has on certain wine grapes. Botrytis acts by sucking water from the grapes, leaving behind a higher concentration of sugars and other solids in the final juicing that helps to concentrate flavor. This is the same fungus at work in Bordeaux that produces the much lauded Sauternes. Thankfully, Hungary is not all sweet white wine (nor is Tokaj, it should be mentioned). 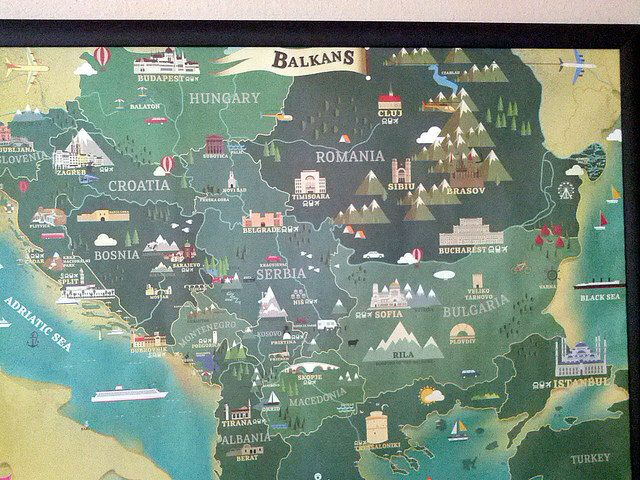 There are 22 recognized wine regions throughout the country, with Somló the best known outside of Tokaj. Perched around an extinct volcano and exclusively planted with white grapes, these wines are unsurprisingly mineral driven, with the aforementioned Furmint once again playing a major role alongside Hárslevelű, Olaszrizling and Juhfark (now take a moment to catch your breath). Now, to red. Hungary’s indigenous Kadarka grape is the dark and brooding cousin to the bright, mineraly whites from Somló, and is a key part of the country’s best known red, Egri Bikavér (bulls blood from Eger). Hailing from the Eger wine region in the North-East, this blend is required by law to include a mix of at least three of the 13 grapes permitted to grow in the region, which include a mix of local and international varietals. The name supposedly descends from the wine’s influence on a 16th century battle, in what you’ll find is surprisingly typical dark-romantic fashion for Central Europe, but we’ll leave this part to detectives of provenance. So then, off to Slovenia. Until next time. ﹡Before beginning we should pause to observe the challenge imposed by the linguistic differences that separate Catalunya from Spain, as they tend to pop-up and add confusion when least expected. Catalan is a completely separate language from Spanish (or Castellano), so to keep things simple names will appear in Catalan, as this is what you’ll probably see on bottles and wine lists. Wine has been produced in the region that encompasses modern day Catalunya for the past 2500 years, and was once quite popular in the ancient world. The Phoenicians introduced winemaking to the region between the 7th and 8th century B.C.E., and the Romans continued the practice in their first colony in the Iberian peninsula, Tarraco (modern day Tarragona). After succumbing to the vine killing aphid Phylloxera that destroyed large swathes of Europe’s vineyards at the end of the 19th century, the international role of Catalan wine briefly surged after significant replanting, before largely falling by the wayside during the Spanish Civil War and ensuing World War. Today Catalunya is producing a great deal of unique, interesting natural wine that closely reflects the region’s varied climates. While the American market has long been inundated with cheap cava that exists solely to fill mimosa pitchers at brunch, the past few years have seen the emergence of a number of passionate natural winemakers, and just as importantly for us, importers willing to bring their wine to unfamiliar palates. To say that interesting, honestly made wine is a new arrival in Catalunya would be unfair, but it’s certainly new to the West Coast. Our September wine box is a great introduction to some of the best cava and natural wines coming out of Catalunya right now, but with ten different recognized regions, there’s an awful lot to taste. 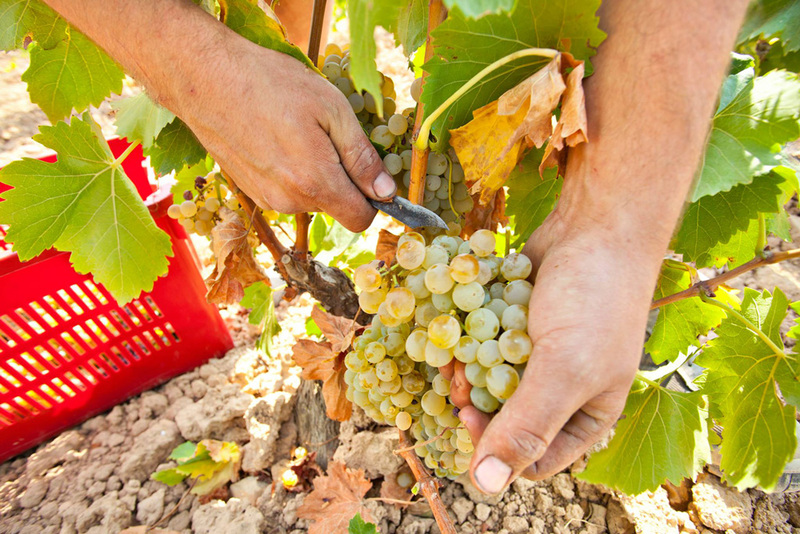 There are a number of grapes under cultivation in the region that are unique to Catalunya, as well as non-indigenous grapes that have taken on local names, like Garnatxa (Grenache). The French border is not terribly far from most parts of Catalunya, and the two regions share deep cultural and linguistic ties. 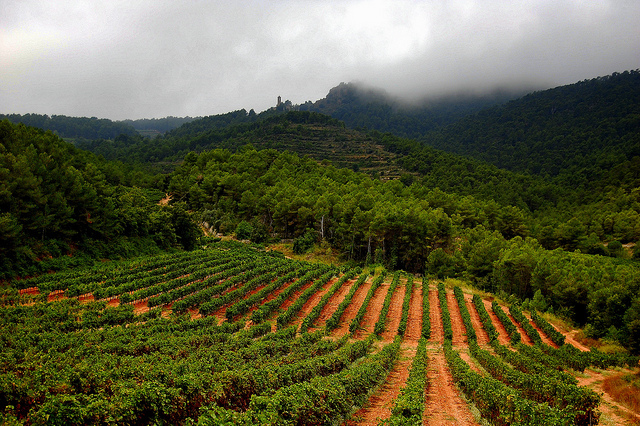 It’s no surprise, then, that several french varietals make up a significant chunk of the local red wine production, among them Monastrell (Mourvèdre), the aforementioned Garnatxa, Cabernet Sauvignon, and Samsó (Carignan). White wine production is dominated by the three indigenous grapes commonly used for cava production, Macabeu, Parellada and Xarel·lo, although they are by no means restricted to the production of this sparkling wine. One of the more recognizable DO’s is Penedès, from where 95% of Catalunya’s cava originates, including everything from mass-produced industrial brands to small production natural and biodynamic producers. At the other end of the scale is Priorat, known for powerful reds, and confusing labelled alternatively as DOQ (Denominació d’Origen Qualificada) or DOC (Denominación de Origen Calificada), depending on your use of Catalan or Spanish. This additional level of recognition is only afforded to two of Spain’s wine regions, Priorat and Rioja, and is a reflection of both the price these wines command and their general quality. Which of these two attributes is weighed more heavily is a matter of debate. Drinking wines from a lesser-known region can have its drawbacks, including being able to find a wide variety of producers. Luckily, we have the internet to help ensure that things that before would never have made their way into our glasses can be (relatively) accessible. As is often the case with areas that are mountainous and whose wines are not particularly popular outside of the region, there are numerous varietals that are planted in very small amounts or are simply dying out altogether in Catalunya (and may be extremely hard to find here in the U.S.). It’s a good start to simply get an idea of the common grapes associated with a wine growing region by tasting as much as you can, but don’t be intimidated by what’s unfamiliar! Becoming adventurous in your drinking can lead to interesting discoveries. 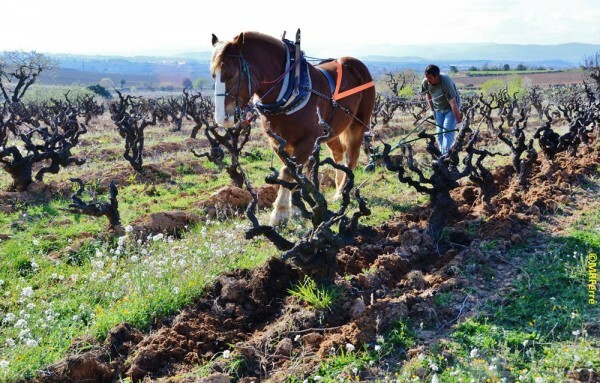 Go open a nice cava from Penedès, or a dark and brooding Garnatxa from Priorat, and then start exploring. September is upon us, which means it’s time for a new wine box! This month we’re drinking some interesting things from Catalunya, a long-overlooked wine region in the Northeastern corner of Spain that’s best known for it’s Cava, and is finally getting the recognition it’s lesser known wines deserve. Some of these are familiar grapes, like Grenache (Garnatxa in Catalan), but others will probably be completely new to you (Trepat, anyone?). We’ve got two reds, a white and a very interesting Cava that provide a nice introduction to the natural wine being produced in this part of the world. The four farmers behind Mas Candí are producing some really interesting natural wine on the edge of a national park with vines taken from their grandparents holdings, including a few unique cavas. 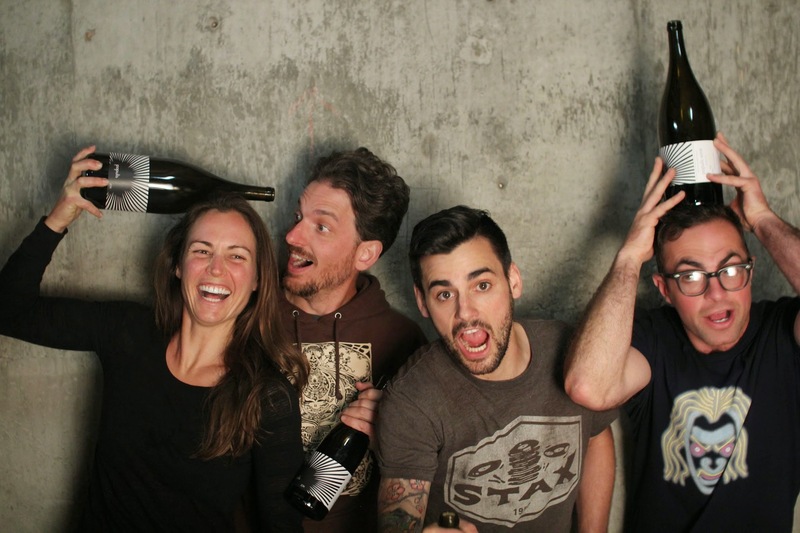 Their Cava Brut Nature is a mix of the traditional cava grapes (Macabeu, Xarel•lo and Parellada) with the unexpected addition of some Garnatxa Blanca, and is perfect as an apéritif for the beginning of San Francisco’s summer (September and October). Terra Alta means highlands in Catalan, and this white Grenache stays true to its namesake appellation, coming from vineyards perched in the hills nearly 1300 feet above sea level. Minerally and with subtle hints of peach, this is great for a big salad or just on it’s own. Trepat is a red grape that’s indigenous to Catalunya, and tastes like a combination of the better-known varietals Pinot Noir and Barbera. This wine manages to be soft and herby while also tasting of chalky minerals and soft fruit. Definitely nice with something from the grill, or a meatier fish like salmon. The Puiggròs family has farmed the same vineyard since 1843, and this Garnatxa comes from 70-80 year old vines nestled 2250 feet above sea level. This is definitely heavier than the Trepat, with subtle minerality supporting a bouquet of herbs and earthy fruit.